Haiti. I’m sure I’m not the only one who watches with profound sadness at the loss of life and devastation by way of natural disaster and makes direct comparisons to the Hurricane Katrina tragedy and its blow to the precious people of New Orleans. Its the haunting similarities of the man-made and disastrous pre-existing conditions of extreme poverty and lack of infrastructure that vex and perplex me the most. In a few days, those of us who consider ourselves spiritual and vocational heirs of Rev. 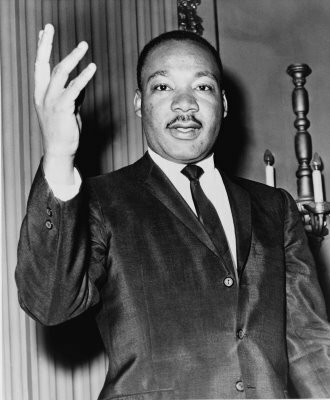 Dr. Martin Luther King, Jr. will focus our attentions on considering his life and legacy. In all honesty, I’m feeling guilt: How in the world is it that we (the international community, the U.S., black folk, Haitian governments over time, fill in the blank…) tolerate the abject poverty of peoples and nations right beside us, while so many (or is it “so little”?) of us have (much too) much (money, education, privilege, information, doggone stuff, etc.)? I declare: something’s wrong with us — and its at the level of our values. On a very fundamental level, friends, we got issues. Yesterday, Curtis and I facilitated a meeting of community leaders, activists and funders in CT who are contemplating no less than a total re-vamp of all systems and structures that comprise early childhood education and care in that state. In assessing the status quo, they confessed: “We need a values shift.” In searing self-critique, they admitted that when it comes to how we treat children, our actual policies speak louder than our words, and woefully contradict. So, then, on the eve of King Day and in the wake of this tragedy in Haiti, I ask: What will it take for a values revolution of any sort? Where are opportunities to turn tides and sustain change? Is crisis such an opportunity? Well said, Melinda. And I am torn. On the one hand, I want to step back from this and be curious about the systemic arrangements that have allowed the concentrated suffering that a place like Haiti has experienced. On the other hand I want to wail with grief and guilt at my complicity in ignoring the pain of my neighbors. And I think you are right that the thread that connects both of those is fundamentally a values issue. I was struck in the CT conversation by comments such as, “If you are to look at the way we treat our youngest children, it says a lot about what we value.” Same goes for how we treat the environment, place, people who don’t look or sound like us. Time to hold up a mirror to our actions and get real about what this says about us. One interpretation is that we think ourselves better than that which is our very life support. Icarus, come back here! Thank you so much for saying it so well, this pain is so real. I often consider the gap between my stated values and my personal practices. Sometimes it feels pointless to proclaim a lofty purpose when our behavior can be so small, when the aggregate result of our petty decisions, our indulgent moments of selfishness, can add up to a conspiracy of oppression. How do we shift? How do we evolve? How do or practical actions, the actual things that we do – and how we do them – how do these begin to change even in light of our imperfection? Melinda, thank you for reflecting on King, Haiti, and Katrina together today. What a moment. What a time for deep reflection and action. Thank you dear sister. You have articulated the pain in my heart, the questions on my mind, and the inspiration in my belly. The courage to look and really see — that we are that — is a key step. Developing communities where we have the capacity to reflect with compassion and act with conviction is essential. Y’all at IISC are creating the spaces for that to happen. With love and power. For Justice. @Curtis Indeed. 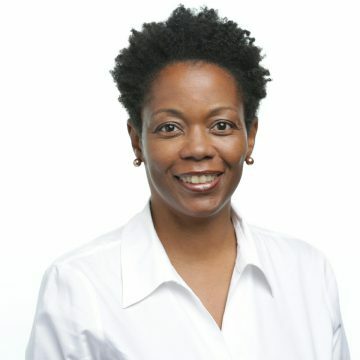 I, too, do not want to suggest a naivete regarding the complex socio-political-historical factors, players and interests that have colluded to bring us to this place (Haiti), but at the same time, on a very human level — the complex has got to become real simple: we ARE are brother’s keeper. @Gibran “…in light of our imperfection”. So true. We are flawed, but, informed by my faith and theology for sure, that imperfection is one of the most brilliant features of our humanity — the capacity to transcend it (by God’s help)nonetheless. Simply put, even despite ourselves, we can always do better. @Jen @Jodie Yes! Yes. “Reflect with compassion, act with conviction”…and slowing down, then stepping up to do both in connected, beloved, community. Thanks all for your poignant, heartfull comments. Wow. Melinda, as always, you wield your pen (keypad) like a sword. The next move for the US, once most of the dying is done in Haiti, is to move the military in, build an airfield and re-occupy. As the old USA mantra goes: Never pass on an opportunity to turn another’s misfortune into your own personal gain. Having attended a community MLK Day celebration and listened to several radio programs today, I’m more convinced than ever that we’re missing the point about the meaning of Dr. King. One student, to his credit, spoke of Dr. King’s opposition to discrimination and linked that to what he saw as injustice in our present day health care system. No one should be discriminated against–and everyone has a right to access to health care. Right on! This young man got the point. Not quite. Not to diminish Dr. King’s legacy, but he was not the sole source of inspiration or resistance for black people, who had a firmly established tradition for resistance generations. And, even during the movement, there was considerable inspiration and resistance from the ground up, to which the visible leaders like Dr. King had to catch up. One student compared a beloved teacher to Dr. King based apparently on the teacher’s willingness to give of himself for the benefit of his students. Nothing wrong with giving selflessly for the benefit of individual students. But that’s not even close to the meaning of Dr. King. I know it’s hard to tell the story of a group or a movement, rather than an individual. Seems we’ve done a terrible job of it with the Civil Rights Movement. As the movement generation ages, it seems more and more urgent that the story be told and re-told as the story of a generation (really several generations moving together and working in creative tension with one another. Let’s keep the history of MOVEMENT in the story of the Civil Rights Movement! So well said Melinda. Thank you! I echo your question of “What will it take for a values revolution of any sort?” Especially in light of noticing recently the way we talk about post-9/11 and post-financial collapse. We sound as if we were waiting for a revolution that didn’t come. We talk as if the change in the way we live didn’t happen, but doesn’t that mean us too? @Cynthia – Resonating with the Robison interjection here. He has always had a heart and mind for Haiti and we are wise to seek his counsel and analysis here. Thanks for that. @Hillary Thank you so much, Hillary. Thanks for MLK’s haunting words…and also for your haunting questions — what more do we need in order to change ourselves even as our world has already changed around us? Profound. Piercing.